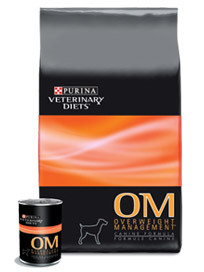 Giveaway: A Year Supply of Purina OM Dog or Cat Food! GIVEAWAY CLOSED!!! Thanks to all who entered!!! Congratulations to Shanna from Minneapolis! In October of last year I introduced you to my overweight cat, Nessie. At her three year checkup she weighed in at 17.2lbs. Our vet suggested that we try her on Purina OM (overweight management). For our household, it was a double thumbs-up because our other kitty, Genevieve, also needed a diet extremely low in fat for her chylothorax. We signed Nessie up for the Project Pet Slim Down right away. She has not yet been back to the vet for a weigh-in, but her eating schedule is more routine not and she definitely has more energy to snuggle and play with her family. The wonderful folks at Purina are determined to create a healthier world for our pets. Often, we feed our pets without even thinking about it too much. Are we measuring the amount of food they get? Do we let them graze how they please throughout the day? How about treats? Are we really keeping track and limiting intake? Would we feed our children this way? -An extra 3lbs on a Boston Terrier is equivolent to an extra 30lbs on an 150lb adult human. Yikes! Luckily, the Project: Pet Slim Down™ is a proven way for pets to eat healthier, get active and lose some weight! I was amazed to read some of the success stories, like the one about Jodi, a bullmastiff that lost 16% of her body fat in just 12 weeks. Thanks to the wonderful people at Purina and Project Pet Slim Down, one very lucky Holly at Nap Time reader will win a YEAR supply of Purina OM for their dog or cat! This could be the contest to help save your pet's life and give them a better future! Enter below!! Disclaimer: Please see fine print in entry form. I was in no way compensated for this post. I won a blogging contest with Purina that allowed me to giveaway a year supply of OM dog or cat food. WoW this would be a great prize to win since the cost of groceries is going through the roof it would definitely be a blessing to have one less expense for an entire year! Plus it would help my two inside cats nip the weight problem they seem to be facing! Thanks for following my blog. I am your newest follower.